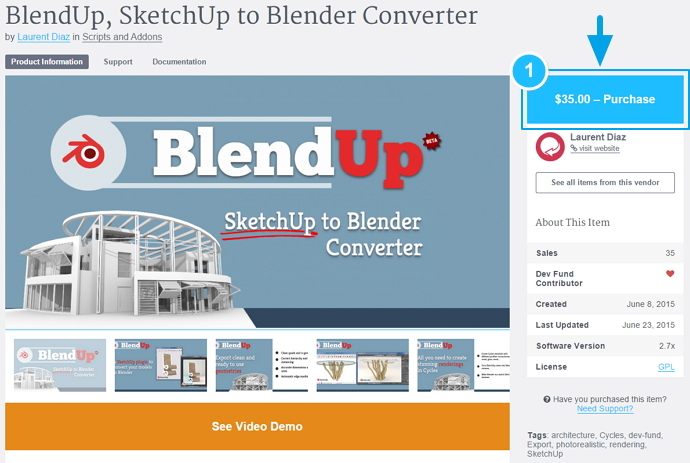 BlendUp is a new extension for SketchUp that exports your SketchUp models directly into Blender. Blender is an awesome free and open-source 3d software you can use to extend your SketchUp work-flow. It can be used to create great photo-realistic rendering and animations. 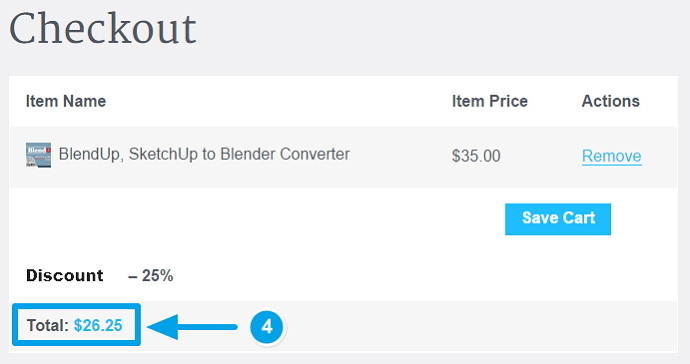 BlendUp generates clean geometries, supports SketchUp scenes cameras and allows you to apply Blender materials to your models in SketchUp quickly and easily. 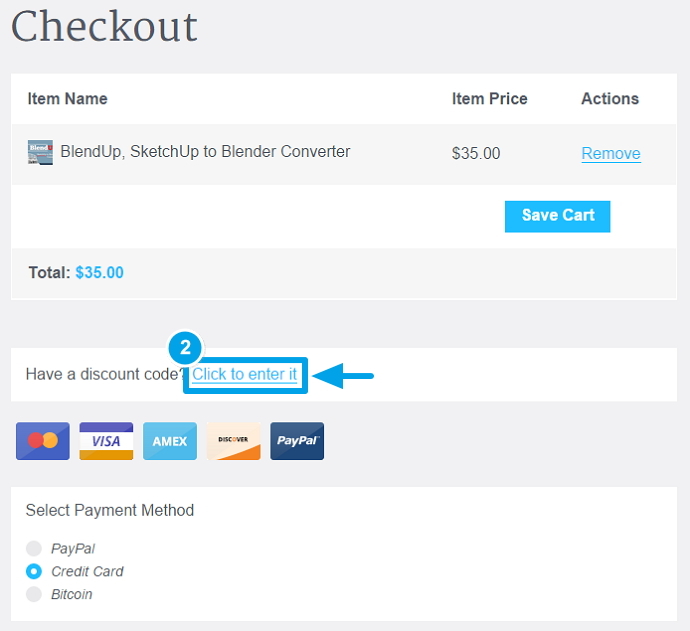 Go to BlenderMarket.com and click the Purchase button as shown below. This brings you to the checkout and payment page. 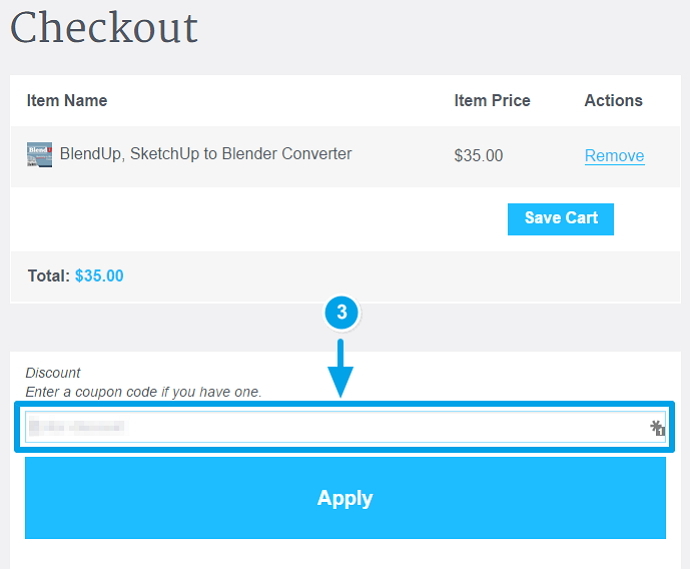 On the checkout and payment page you can input your code in the Discount Code box. Enter the unique code at the top of this page and click apply. You will see the discount applied so now you can finish with your purchase as normal.